How Healthy Is Soybean Oil? We have heard of many oils that have several health benefits. 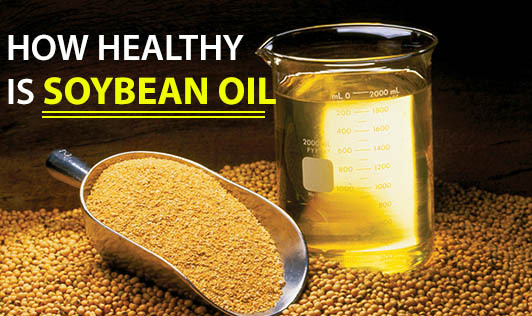 Soybean oil is one amongst many oils that is popular and healthy, provided it is not hydrogenated. Soybean oil falls under the category of unsaturated fat, and hence it is heart-healthy. Since it has high smoking point it is used in frying. 1. Soy oil contains good amount of omega 6 and omega 3 fatty acids. They have anti-inflammatory properties and may reduce the risk of heart disease and arthritis. 2. It is low in saturated fat, contains no trans fat, and is high in poly- and monounsaturated fats. 3. It might help lower the LDL cholesterol levels in people with higher lipids. 4. It helps to regulate the blood pressure, and smooth muscle function. 5. It contains phytosterols, an anti oxidant that helps protect cells against damage caused by free radicals. Can soybean oil cause allergies? Soybean oil made from soy beans is a commonly known food allergen. Someone with a soy allergy experiences an overreaction of the immune system. An allergy to hydrogenated soybean oil can lead to a severe allergic reaction, which could also be life-threatening. Other symptoms can include eczema, itching, fainting, dizziness, abdominal pain, nausea, diarrhea, vomiting, wheezing etc. Eliminating soy completely from the diet is an effective way to prevent allergic reactions for people with allergy to soybean. Even though soybean oil is a healthier type of fat, it should be consumed in moderation.